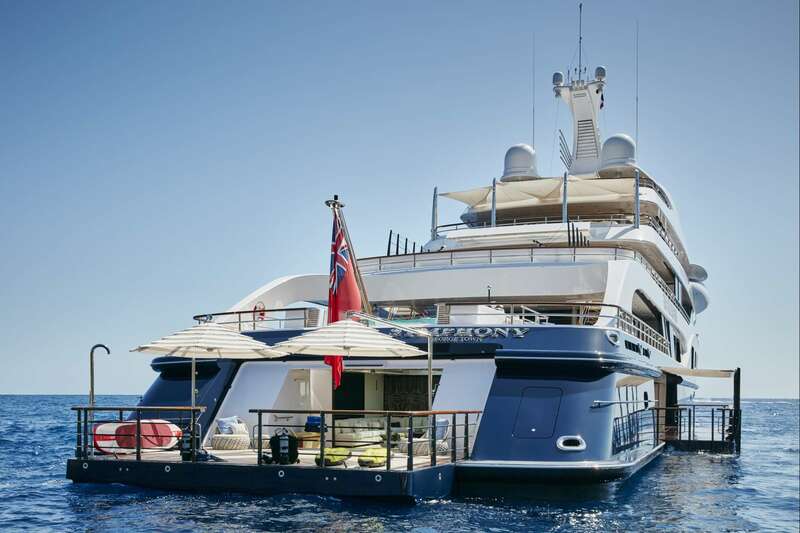 This exceptional example of a pure custom creation is the first Feadship to be fully compliant with the new Passenger Yacht Code regulations, allowing more than the usual twelve passengers. 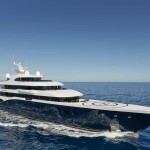 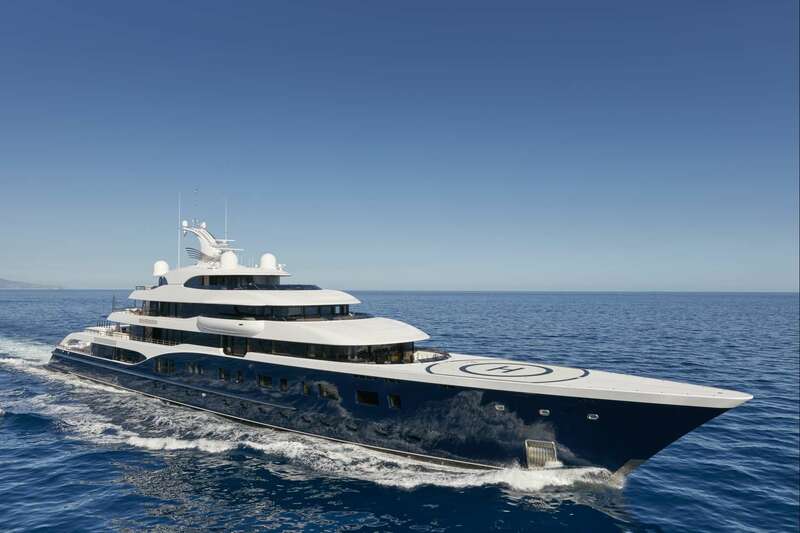 In 2015 it was the first Feadship to cross the 100-metre mark. 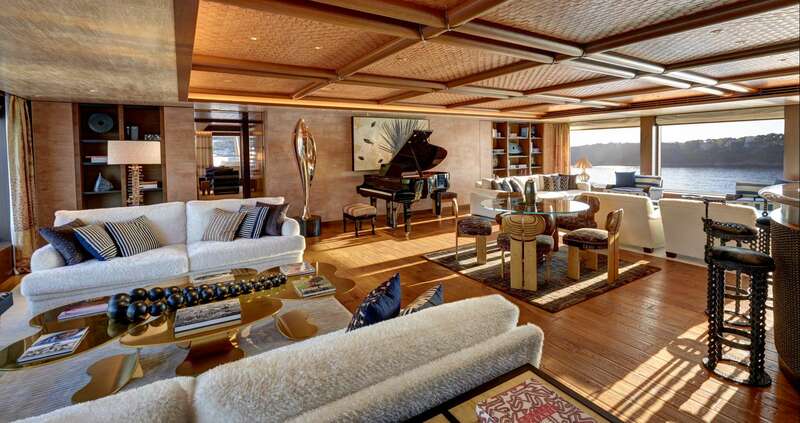 Her vast size has been used to great effect across six decks of sumptuous facilities and technical excellence, including a fully operational helicopter pad. 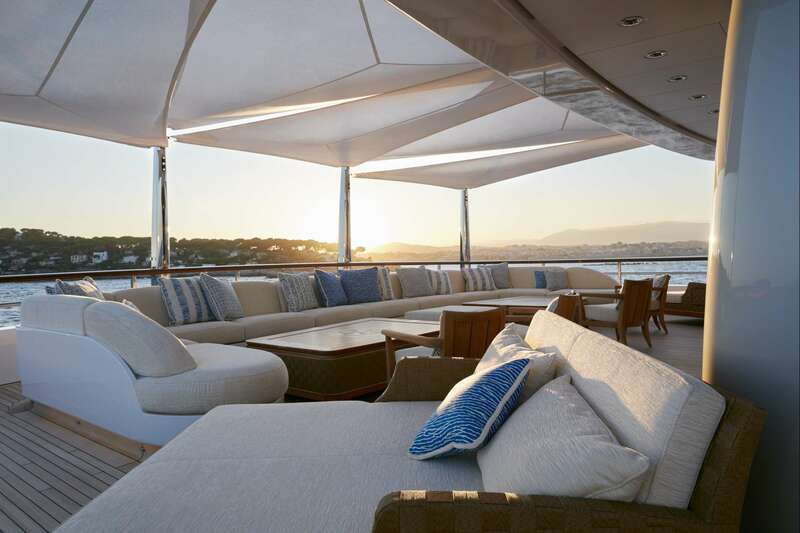 The sun deck is home to an observation lounge, bar and Jacuzzi, while the bridge deck includes a large terrace with outdoor cinema. 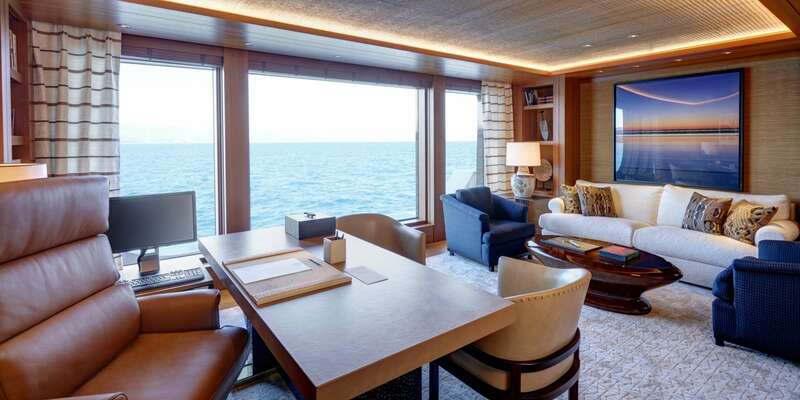 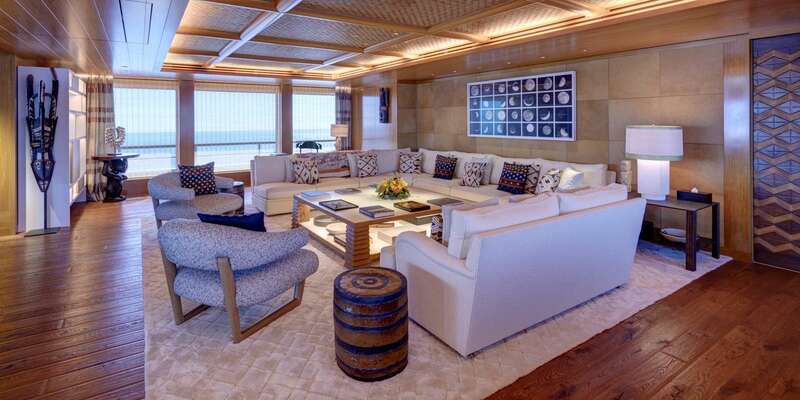 A vast owner’s deck includes a beautiful full-beam stateroom with double bathrooms, dressing rooms and a sauna, a forward terrace with Jacuzzi, a private office and a study, a lounge and a spacious aft deck area for lounging with a dining table for twenty. 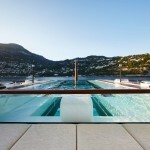 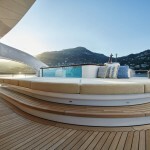 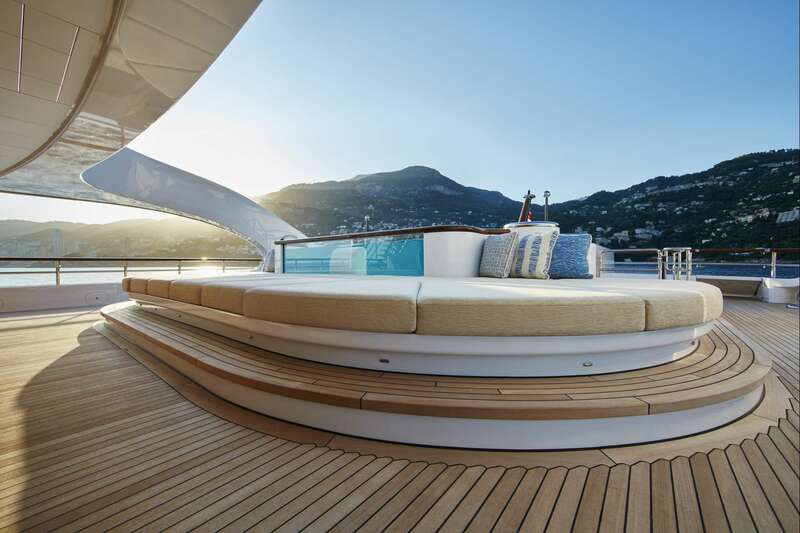 Among the many fine features found on the main deck is a 6-metre contraflow swimming pool complete with its own waterfall. 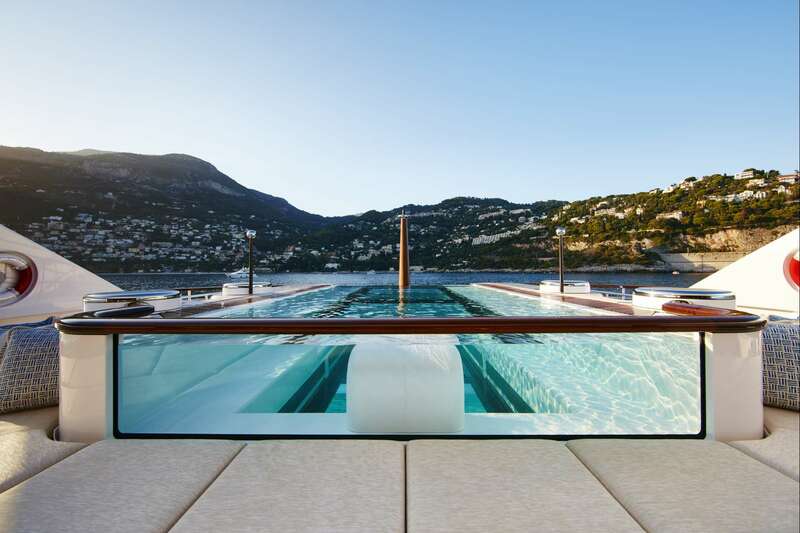 The lower deck is home to an ultra-high definition cinema, a lounge area below the glass-bottom swimming pool, a beach club and a wellness centre. 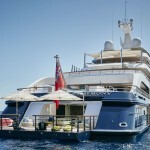 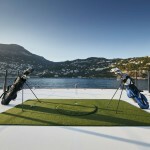 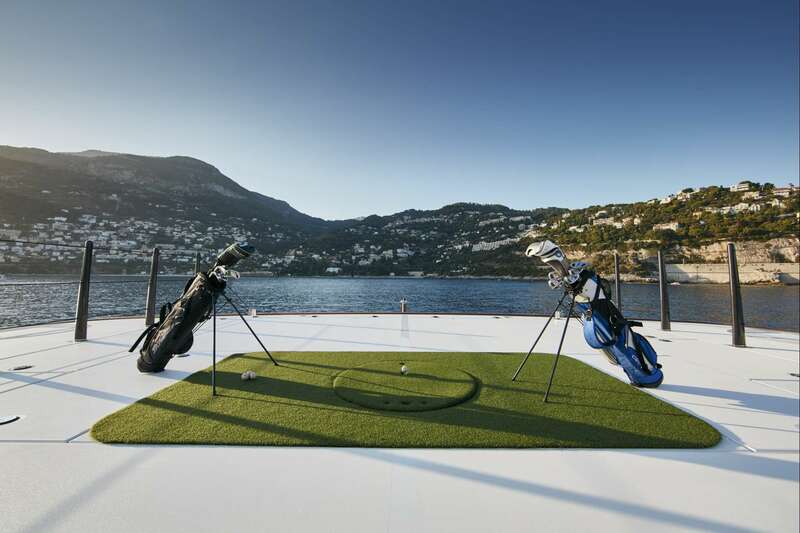 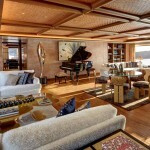 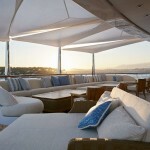 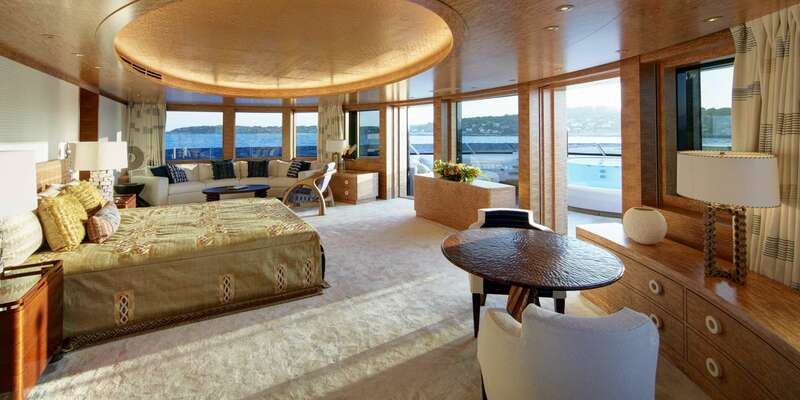 The yacht has been designed as the ideal place for its sixteen guests to enjoy themselves and entertain.